We're also going skating on January 21st. It's a Saturday afternoon, starts at 1:30, done at 3:00. I hope some of you show up, because if I'm there by myself skating around in circles for an hour, that'll be awkward. It's $4. Don't worry if you can't skate well, I'm taking Isla for the first time, so you'll probably be better than her. 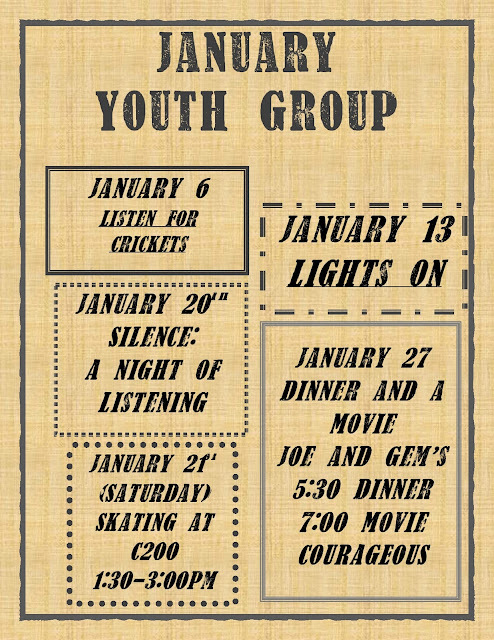 On the last Friday of the month (January 27th) we're doing dinner and movie at Joe and Gem's. Don't miss it.